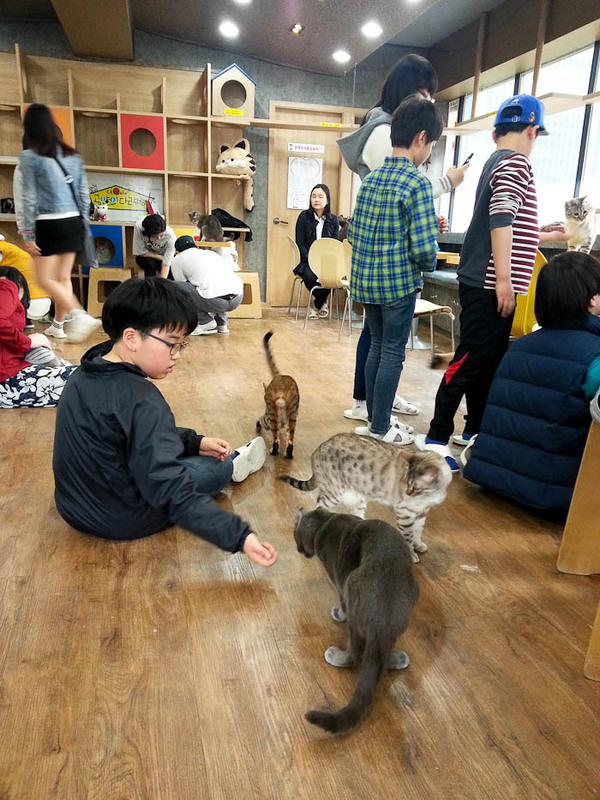 I love cats, and I miss mine dearly (had to leave him behind when I came to Korea), so when I heard there were places called cat cafes in Korea I just had to check it out. You won’t find them in small towns like the one I live in, but nearly all the larger cities have them. 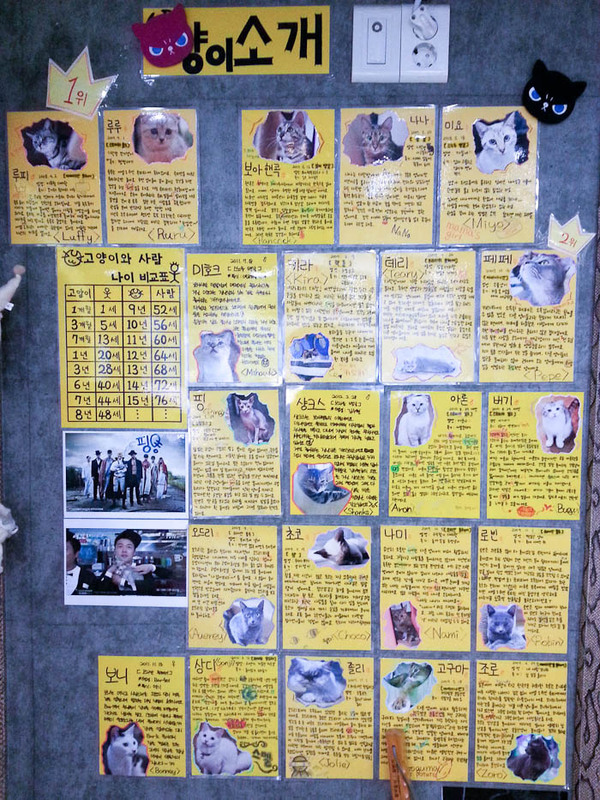 I went to one in Myeongdong in Seoul and even though I’d never heard of the concept until I got here, it was pretty close to how I imagined it would be–a coffee shop with cats roaming, playing and napping all over the place. It was awesome. 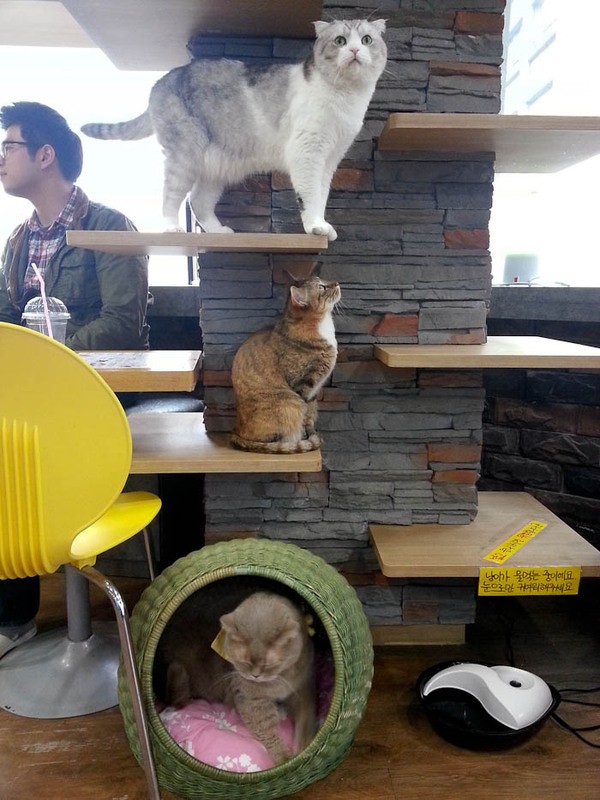 Just hanging out at a cat cafe in Seoul. 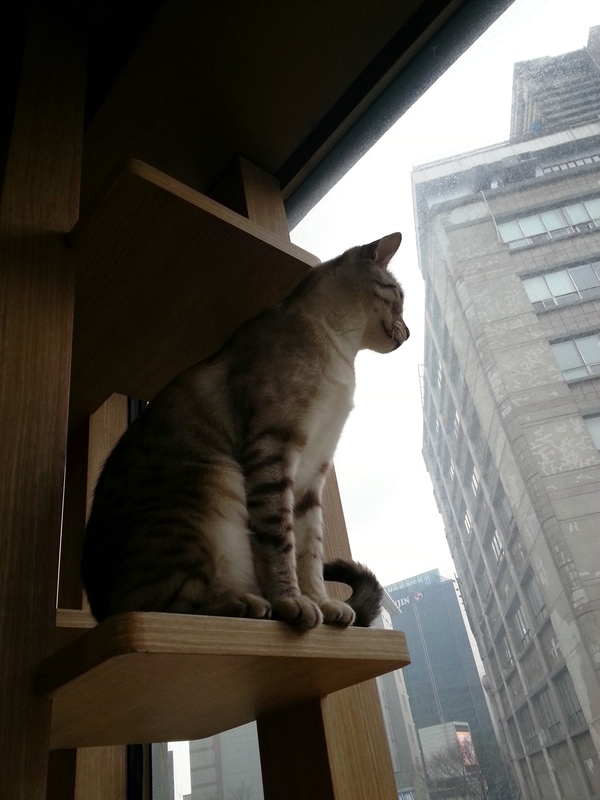 Teasing cats with straws is not allowed. After taking my shoes off at the door, I paid 8,000 won to enter (just under $7) which included one free coffee drink or tea. 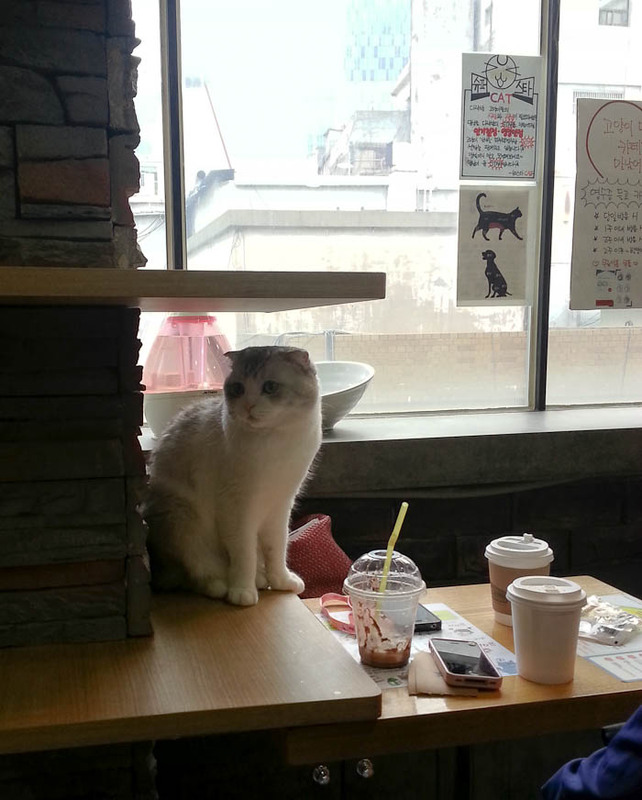 Then I sat down and enjoyed my green tea latte while admiring the 22 different cats in the cafe. 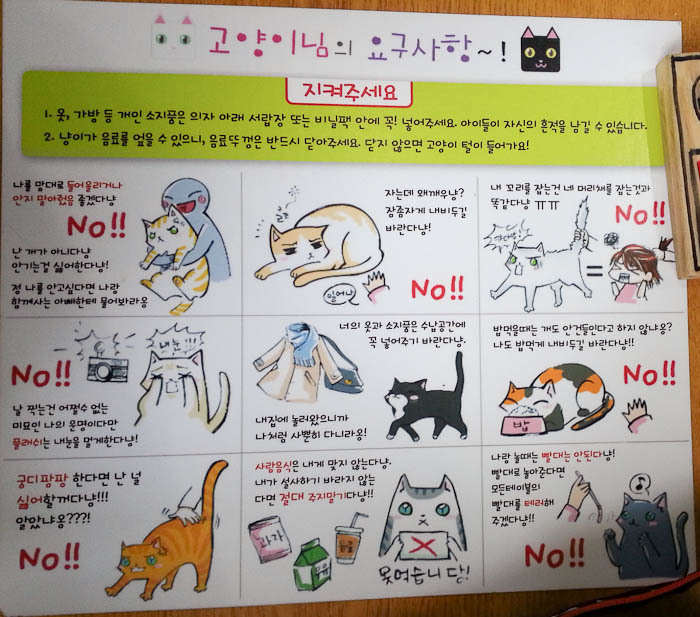 The cat cafe rules: do not hug the cats (especially if you look like an alien), do not disturb sleeping cats, no pulling cat tails, turn off your camera flash, do not touch the cats while they eat, don’t pat the cat’s bottom, don’t feed the cats anything except cat treats, and don’t tease the cats with straws. 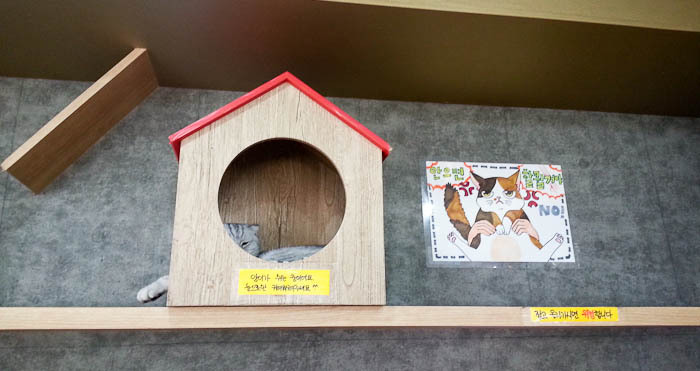 The gray and white Scottish Fold was my favorite. Those ears, so cute! Remember, no hugging the cats! 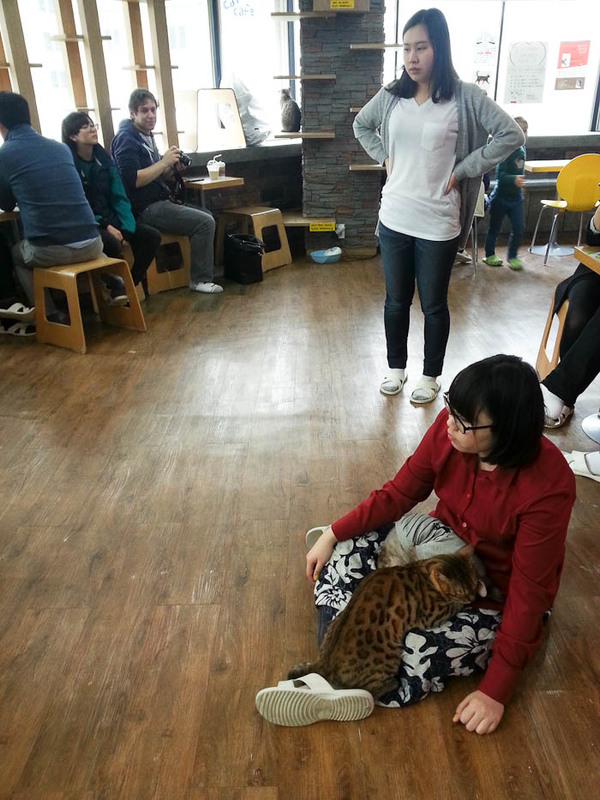 I think this lady is the cat whisperer. At one point she had three cats sleeping in her lap.